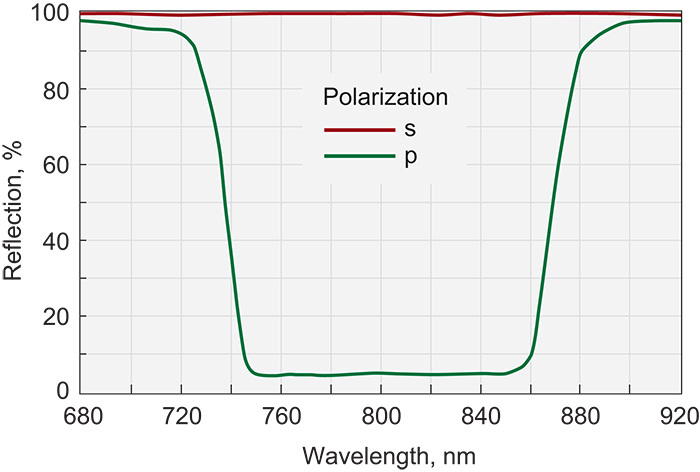 Broadband thin film polarizers separate the s- and p-polarization components in broad region at 70° angle of incidence (AOI). These polarizers are designed to be used in high energy laser systems, typically as extracavity attenuators for femtosecond lasers. 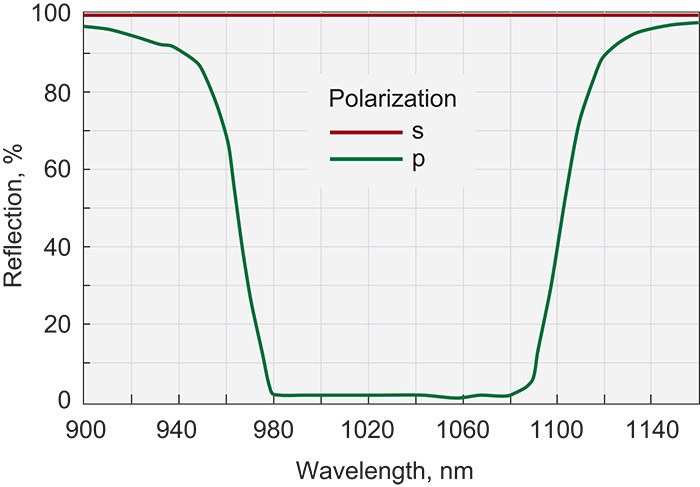 Polarizers are made form UV fused silica and feature a high laser damage threshold - up to 50 mJ/cm2. We offer broadband thin film polarizers with operating bandwidth of 100 nm, centered at 800 nm or 1030 nm.